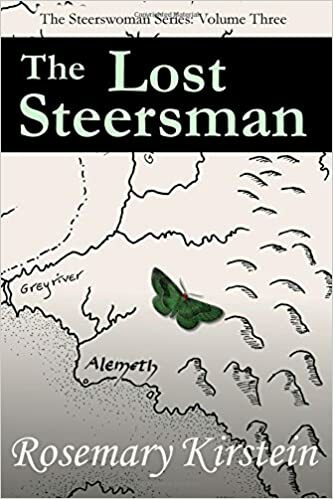 Apparently Amazon did not recognize that the new paperback version of The Lost Steersman is a new paperback version of the previously-existing Kindle version, and I had to go tell them! If you’ve been looking for it, you might not have found it merely by asking Amazon to show you all the books by Rosemary Kirstein. The fix should take in a day or so, but in the meatime, here’s a handy link! Also, searching for “The Lost Steersman” will get you there. Apparently this linking process is less automatic than I had assumed. I do believe I had to do that for The Outskirter’s Secret as well. Meanwhile, I’m waiting for the physical proof copy of The Language of Power. It should be here on Wednesday, and I’m almost certain that there will be no issues, and I’ll be able to approve it to go live that day! The assistance of my voluteers has made working on that book far less angst-ridden than on the previous. Many errors that would have slipped by my bleary eyes were spotted by the volunteers. Yikes, I’m beat. That’s way too much time spent publishing and not enough time spent writing! But it’s done. In celebration I’m heading to Boskone tomorrow — not as a participant but as a mere attendant, where I shall delight in hearing fascinating panels, and engaging in conversations with intelligent people. I’ve been sort of locked in a box lately, and I must get out into the world! I did get out last weekend for a day, when Sabine and I, with our pals Rob and Jan Walker, participated in an escape room adventure at Mystified in Mystic, CT. It was great fun! This particular outfit has a real steam-punk mentality that we appreciated. 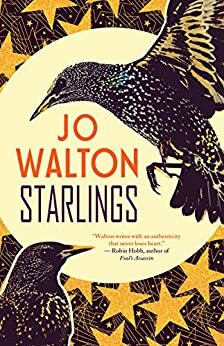 Also: in between iterations of corrections and cover-creation, I’ve diverted and amused myself with Jo Walton’s latest book, a collection of her short works. I have written exactly two short stories, but have ambitions to write more of them. I find Jo’s collection to be a particularly nice set of examples of the different forms that short works can take. There are linked vingnettes, structured stories, short-shorts, fictional musings, fictional correspondences, and my personal favorite, “Escape to Other Worlds with Science Fiction,” (read it for free on Tor.com) which I have no idea what to call, but which is deeply clever and well-executed. Must go now or I’ll be up too late to get out early to hit the road!